The Indian National Congress has been enjoying unbridled power ever since independence. Until 1999, India did not have any opposition party strong enough to challenge it. However, with the emergence of the Bharatiya Janata Party (BJP), as a national party in the late 90s, the face of Indian politics changed. The BJP led National Democratic Front first came to the national scene in 1996, and after a brief interregnum for two years, they won the general elections in 1999 again, where they remained in power for five years. The party has gone from strength to strength ever since. However, BJP’s victory in the 2014 general elections was historic. They wrested control from Congress by winning 336 seats out of 543 seats in India’s lower house, out of which BJP could garner 282 seats of its own. The reasons behind this historic victory goes to one man, Narendra Modi, who was able to capture the imagination of the young Indian voters with his promise of ushering in an economic growth that would translate into millions of new jobs. For the first time in India’s electoral history, Congress was completely decimated. The fortune of the Congress party has been on decline ever since the cataclysmic results of 2014, losing election after election in the state assemblies. In the recent state elections, the party fared poorly, losing two of the states they were governing in majority – Kerala and Assam. On the other hand, the BJP has made inroads in India’s North Eastern State of Assam, wresting control from the Congress for the first time and has also established its footprints in two other states, Kerala and Bengal, where they had no prior presence. One of the reasons for BJP’s ascendency is the young Indian voters. Modi’s promise of economic development compared to ‘redistributive’ politics of the Congress had previously appealed to the elderly rural voters. Although BJP’s avowed objective of ‘Congress mukt Bharat’ is near realisation, the decline of India’s major party is not a healthy sign for a vibrant and robust democracy like India. The presence of a strong opposition is not only a sine qua non for an effective parliamentary system of democracy, but also the one that provides necessary safeguards to it. The rot in India’s Grand Old Party started during the second term of the Congress led United Progressive Alignment, as it was riddled with a litany of scams – right from the spectrum and coal allocation to the commonwealth games scams. These scams led to widespread condemnation by the people of India, and the BJP, which was in opposition. Along with other opposition parties, they stalled the proceedings in the India’s upper house, till the government agreed to remove the tainted ministers from its council of ministers. Had the then Prime Minister Manmohan Singh taken timely action against the tainted ministers, the party could not have come to such a pass. Secondly, Congress and its allies, who enjoy a majority in India’s upper house, frittered away the golden opportunity of redeeming themselves by their uncooperative attitude by not supporting the government in passing of some of the crucial bills, that would have given a fillip to the economy. Furthermore, it would have bolstered their image in the eyes of the voters. Sadly, their negative tactics did not go down well with the voters. The voters started perceiving the party as obscurantists – that did not have the country’s interests in mind. The recent losses are the result of such perceptions. While it is true that the right to dissent is an essential part of any democracy, however, when the opposition employs negative tactics (as Congress is presently doing in the Upper House), it is in a way an insult to the wisdom of the people of India. They have given an unprecedented mandate to Modi led BJP in the hope that, under his leadership, India will soon emerge as an economic powerhouse. The third reason for the party’s dismal performance is ineffective leadership at the top. Ever since independence, the members of Nehru-Gandhi dynasty have been the sole arbiters of the party, giving little or no room for inner party democracy. They got away, as India did not have a strong opposition then, but with the emergence of BJP, things are fast changing on the ground. Moreover, with Sonia Gandhi being unwell, it was expected that her son Rahul Gandhi would provide the necessary impetus and direction for the party. But this has not happened. Rahul Gandhi, though a well-meaning person, comes across as a reluctant leader thrown into the cesspool, where he has little or no interest. He also lacks in ideas, energy and ability to connect, not only with party workers, but also with the other opposition parties, raising questions about his leadership abilities. Besides, his inability to sustain any cause that he takes up has also gone against him. One may compare Rahul’s indecisiveness to the vacillation of the Prince of Denmark of Shakespeare’s Hamlet – “to decide or not to decide”. 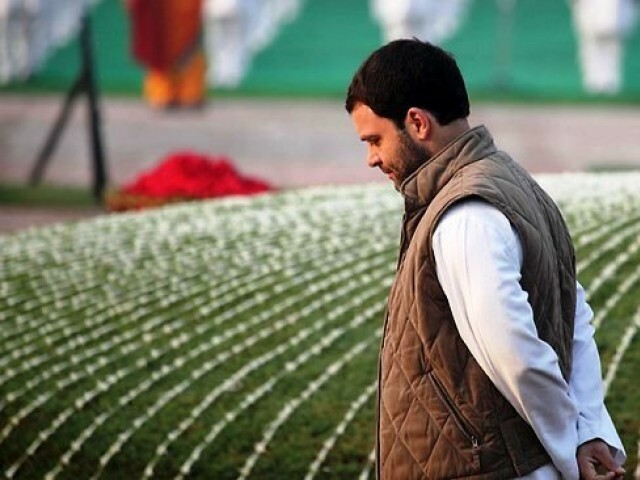 Rahul is not only inexperienced and lacks vision, today, his troops are a demoralised lot, looking for a leader who can lift the morale of the party cadres and make them battle worthy. However, in spite of the naysayers, all is not lost for the Congress party, provided they are able to take immediate steps to revamp the party and bring people with merit in their think tank. A dispassionate analysis of the assembly elections shows that party’s performance is not as bad as it has been made out to be. The party has managed to retain a fair share of the all-India vote. They did very well in West Bengal, where they have emerged as the second largest party. They could have won in Kerala if they had taken timely action against the tainted leaders. In Assam, they lost because of the incumbency factor. Their vote share, barring Assam, is much higher than the BJP. The time has now come for the family, who has had a vice like grip over the affairs of the party, since independence, to abandon dynastic politics and hand over the reign to some of its young and capable leaders, who can lift the party from the abyss it finds itself in today. If corrective actions are taken, the party has the capability to bounce back like they did in 1980 and 2004. It is, therefore, too early to write an obituary of the party, for it is the only party that has a Pan-India presence. If appropriate steps are taken, the party has the ability to reverse its declining fortunes. However, if the party fails to act and continues to rely on “the family,” it may soon be consigned to the dustbin of history. Those who ask if BJP is secular, they need to ask themselves if they have ever been secular. It is better not to be secular than pretending to be one while being anti majority. If secularism had been practiced in its true spirit, there would be no space for the ideology of RSS, it is too late though. Rahul Gandhi is good for India. at any thing is obvious.He doesn’t seem to be talented in any field.Alas good looks fair complexion have gone a waste.At least his father was a pilot. He seems very error prone.He has no progeny to give any hopes to Congress party. He may make way for Priyanka which would excite my wife.But I believe Subramanian Swami is on her case. It is true that one family or its proxies have been in power for over 50 years. But not true to call Cong (I) as Indian National Congress. In 1969, Indira split and formed her own party. In doing so, she had to give the symbol of cow and calf that was the Indian National Congress symbol on which he father had fought elections. These are states that Cong has ruled once upon a time whereas BJP has been a minnow in these states. It is the significant increase in vote share over previous assembly election even in states like Kerala and WB where BJP has never had presence, that gives you a real insight into the shift that is happening.